Wish you had a crystal ball? Here is the next best thing: Get ready for three days of unparalleled learning for school nutrition operators and industry partners. Whether you’re new to the School Nutrition Industry Conference (SNIC) or a seasoned attendee, this year’s SNIC 2019 in Austin, promises to provide you with innovative approaches to help you build the future of school nutrition. Come a day early to visit Austin ISD and gain practical ideas from their mobile serving options, made-to-order salad bars, culinary arts competition, family-style meals, clean-label procurement initiatives and much more. 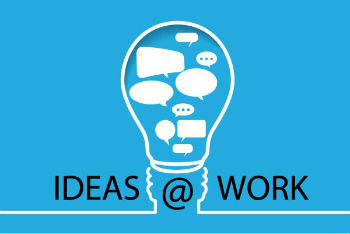 Ideas@Work are back by popular demand from SNIC 2018. These 30-minute fast-paced sessions are focused on singular innovations and presented by the school nutrition operators that created them. Ideas@work sessions trace the path of a big idea from concept to implementation, identifying the steps that will put that idea to work in school nutrition operations. Also back this year are Innovative Solution Sessions, which encourage face-to-face discussions among industry representatives and operators. You’ll be able to exchange ideas, discuss new products and create solutions and innovations. Kick off the conference with a renowned global innovation expert who has a proven track record for accurately predicting the future of technological change and its impact on the world of business. Attendees will understand what’s on the horizon and brainstorm together how these disruptors can be turned into opportunities for school nutrition programs. You’ll also benefit from a unique approach to understanding procurement ethics and best practices. Watch and learn as a dynamic FBI agent provides an in-depth analysis of a procurement case history to help you identify “red flags” of procurement fraud and re-evaluate your own procurement procedures going forward. Be sure to stay until the closing general session to learn practical ideas for how to manage your current and future workforce and the marketplace of the future. SNIC is a one-of-a-kind opportunity to network with peers, allowing you to benchmark your current practices, share strategies for success and develop innovative ideas you can apply immediately in the workplace. Join hundreds of your school nutrition colleagues for this incredible conference! Registration opens in the fall of 2018. For more information, email us at education@schoolnutrition.org.